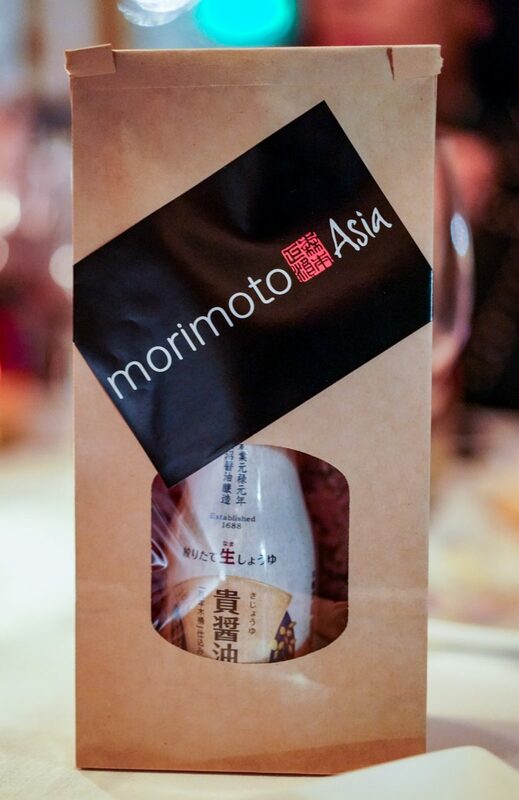 We were invited to the first “Guest Chef Series Dinner” at Morimoto Asia last night during their inaugural Sakura Festival. 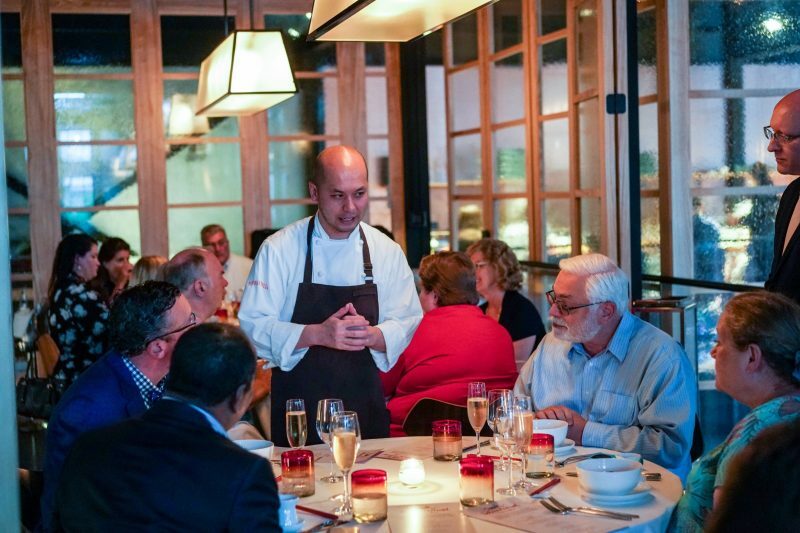 Our guest chef was Executive Chef Hitoshi Sugiura and he was exceptional. 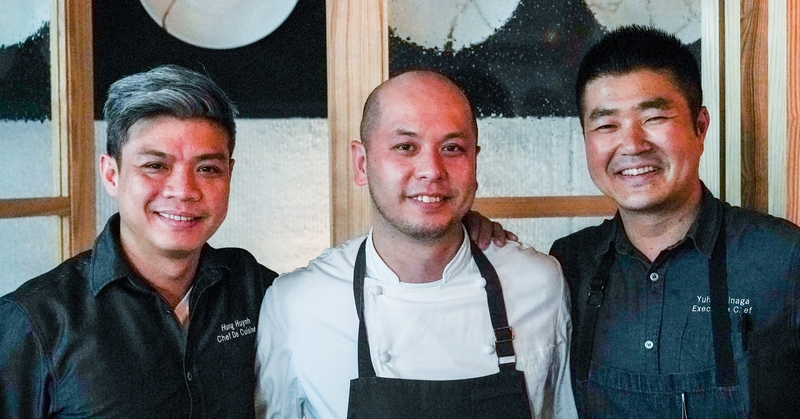 Chef Hitoshi flew in all the way from Japan for the event and was joined by Morimoto Asia’s very own Executive Chef Yuhi Fujinag & Chef de Cuisine Chef Hung Huynh. 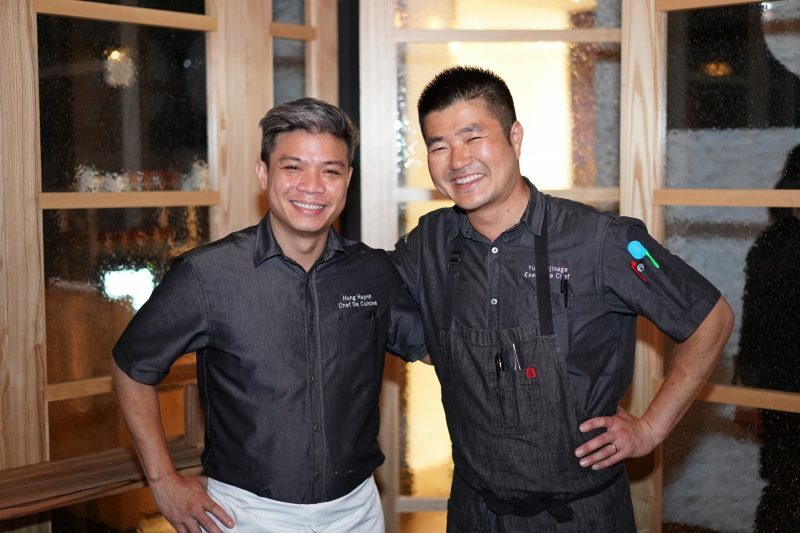 All three chefs prepared for us an collaborative six-course Pan-Asian dinner, paired with wines from across the globe. 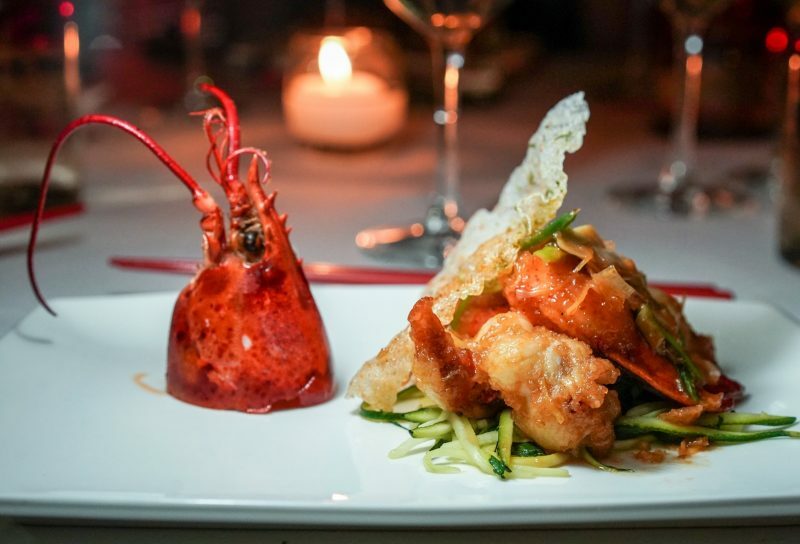 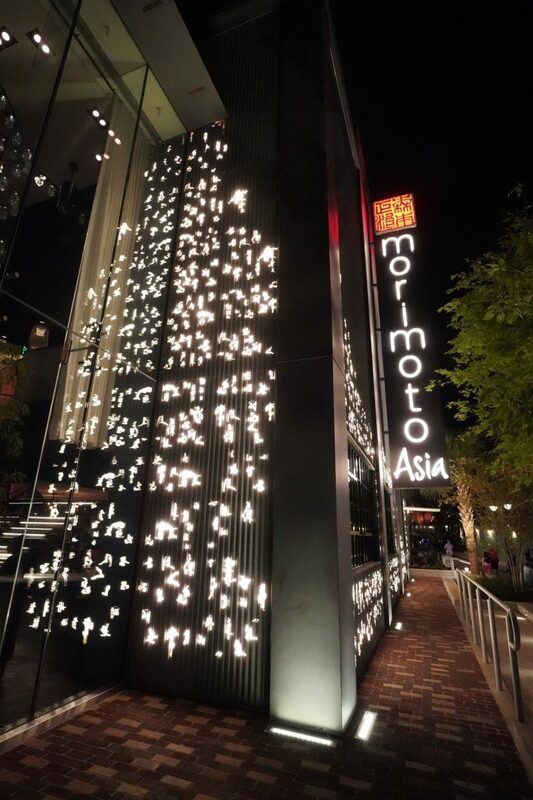 Morimoto Asia plans on hosting a Guest Chef Series Dinner every quarter. 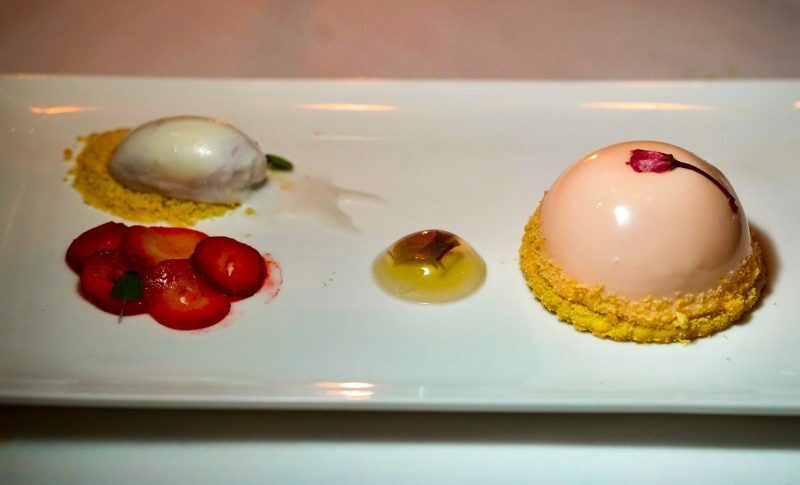 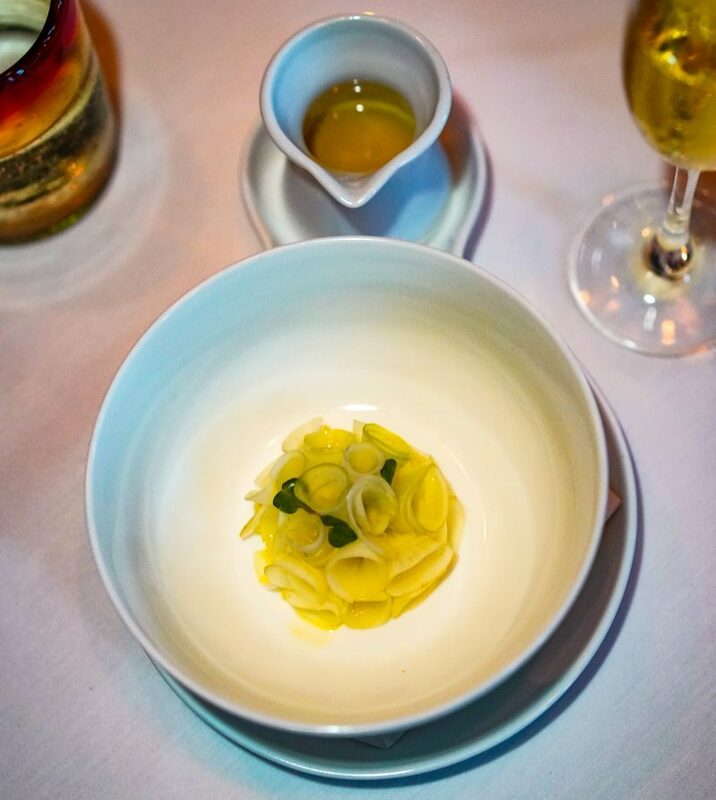 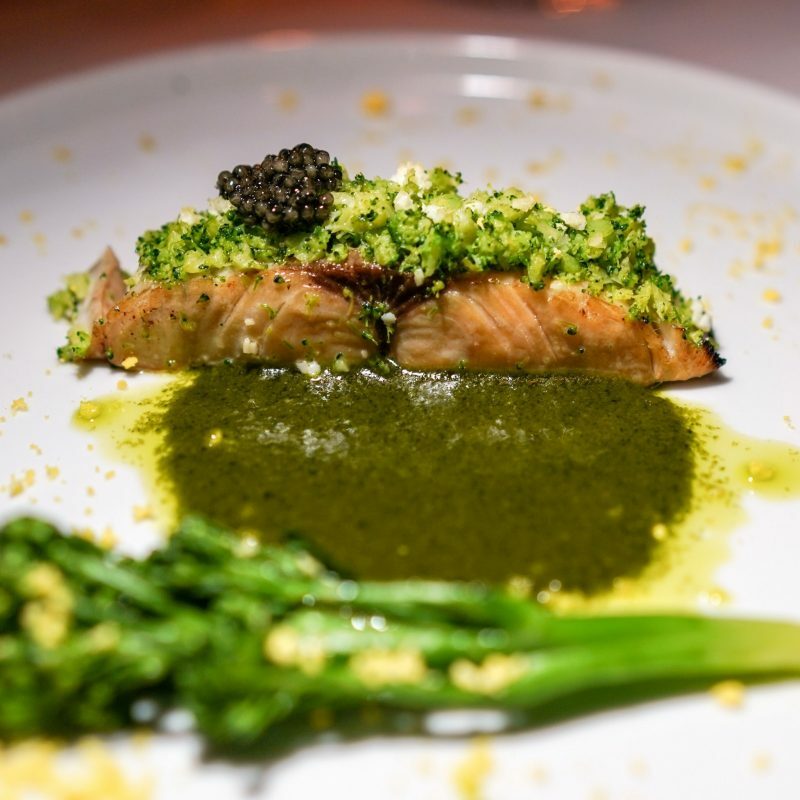 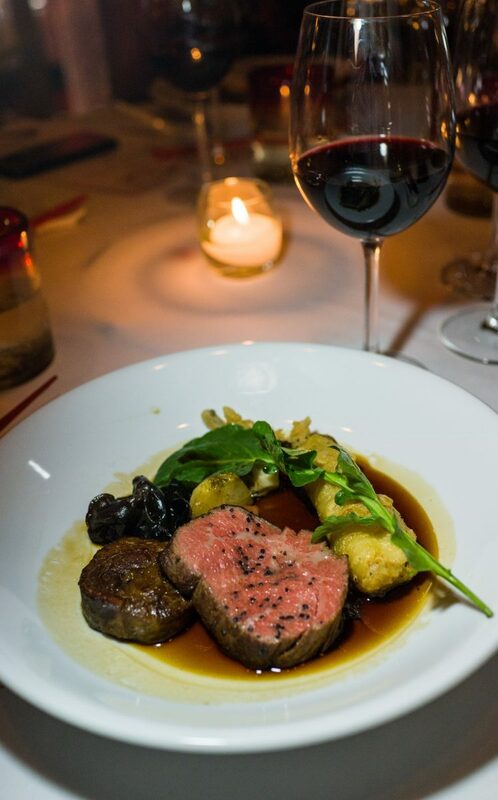 Chef Hitoshi has a history of creating unique menus for restaurants and events while having received acclaimed notoriety including the “Top 8 Chef” at Italy’s 2017 Vegetarian Chance competition. 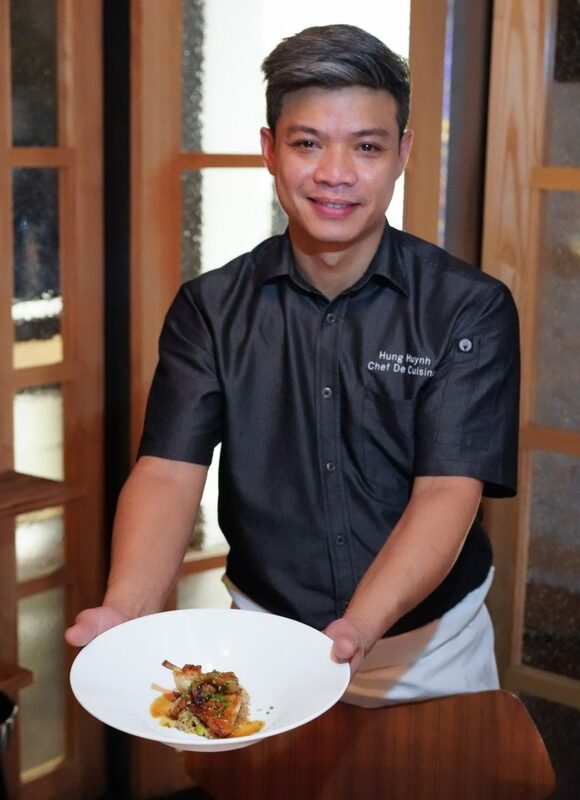 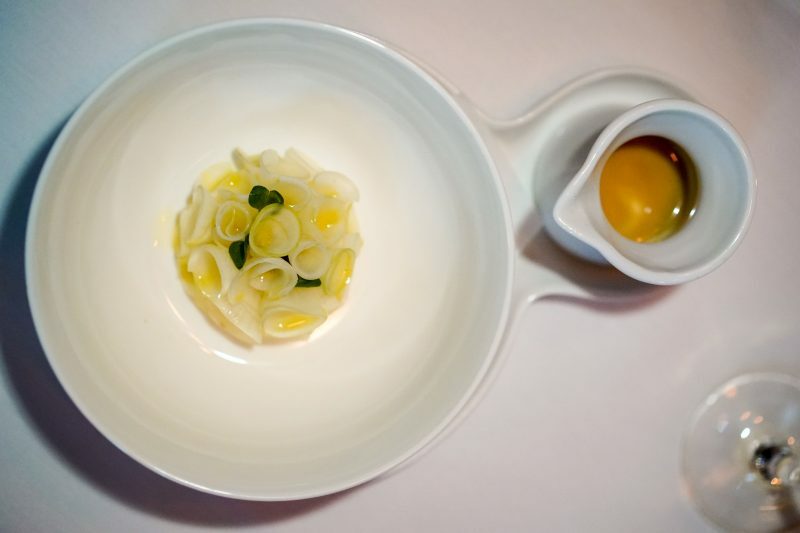 Chef Hitoshi currently leads the team and menu creation as Executive Chef of Patinastella Restaurant in Tokyo, Japan. 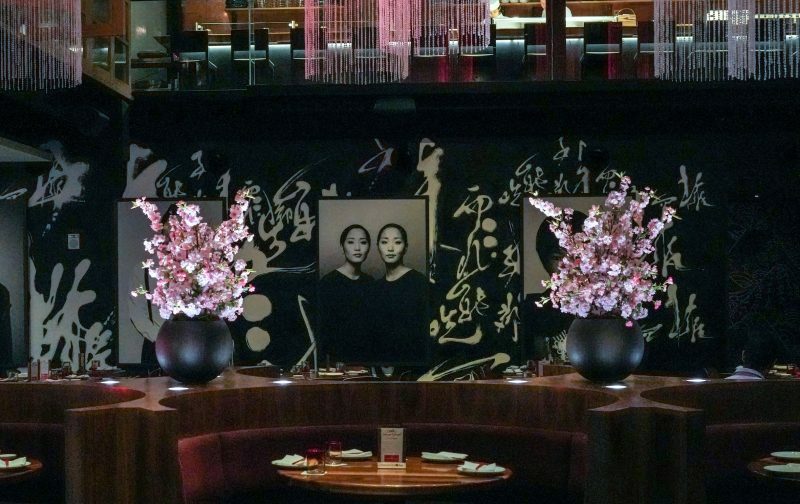 Fresh cherry blossoms that were flown in from Japan for the inaugural Sakura Festival at Morimoto Asia. 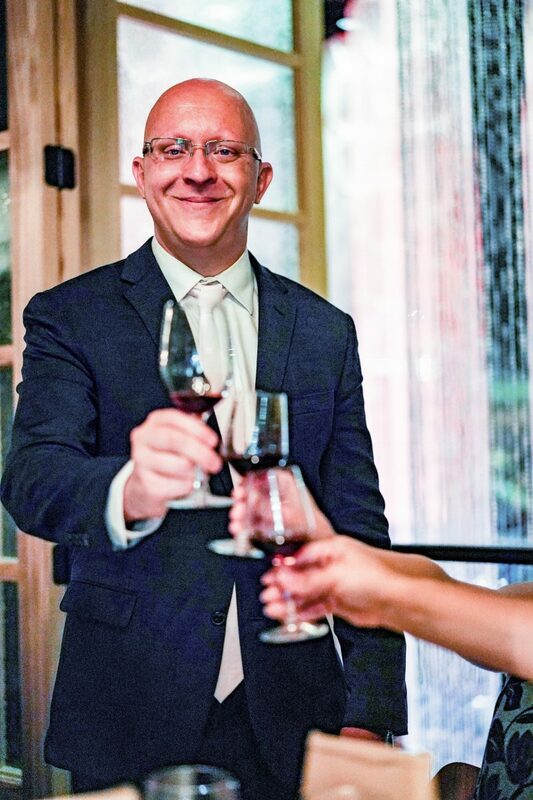 Cheers to our wonderful host, Sommelier – Eric Bandauski. 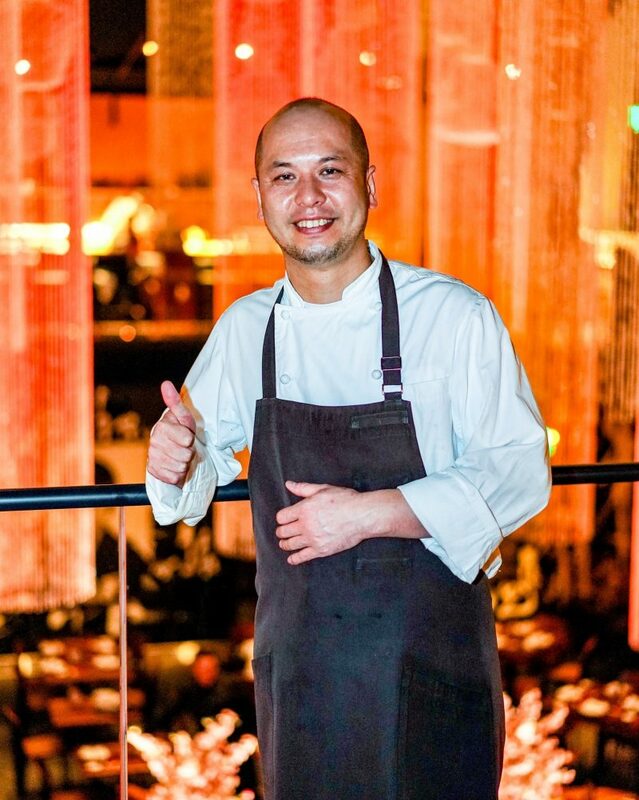 Guest Chef Hitoshi Sugura. 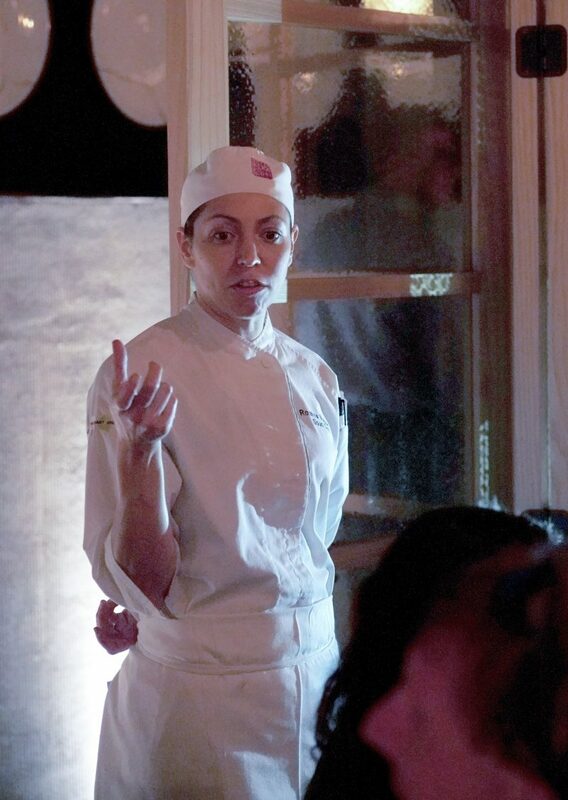 Many thanks for making the long journey to celebrate with us. 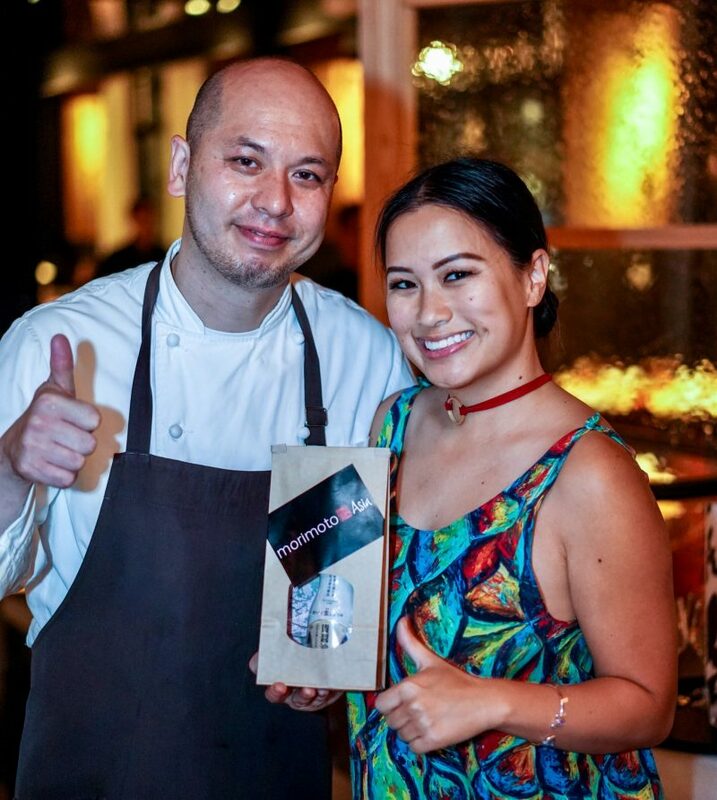 Well done chef! 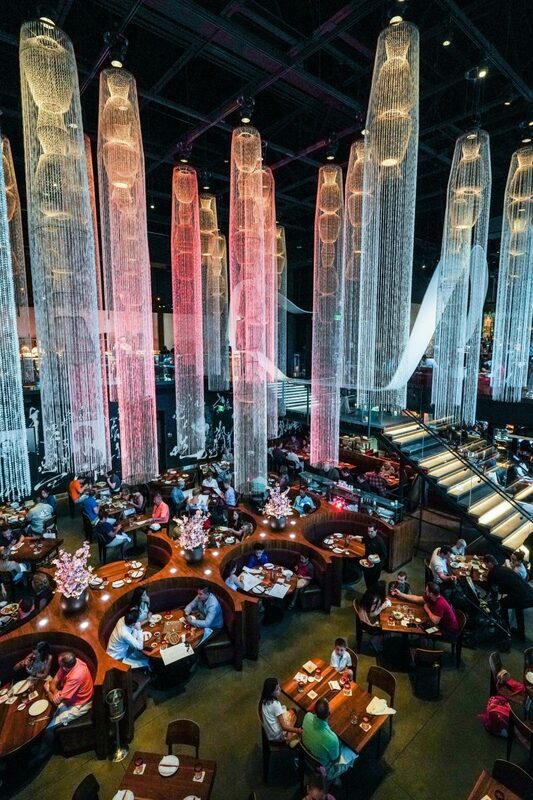 The ceiling fixture colors were modified to reflect the spirit of the Sakura Festival. 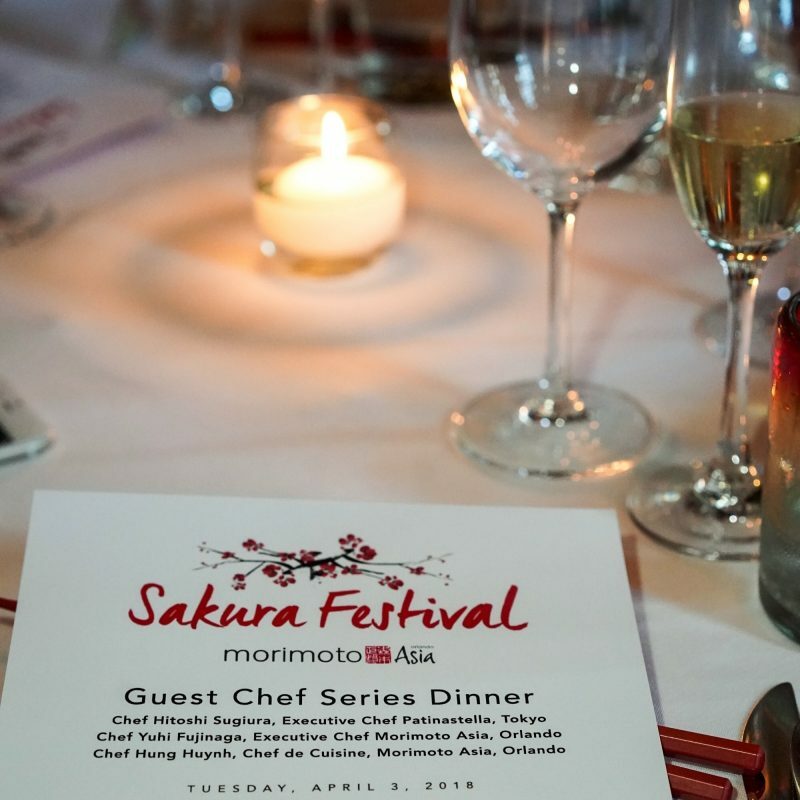 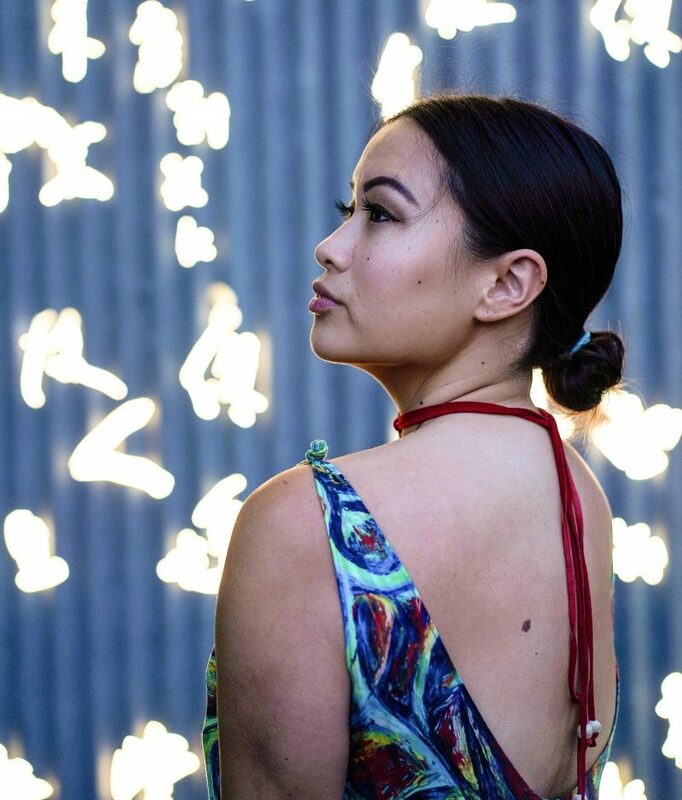 Be sure to grab your tickets to the inaugural Sakura Festival at Morimoto Asia – they will be hosting a series of events until Sunday, April 15!